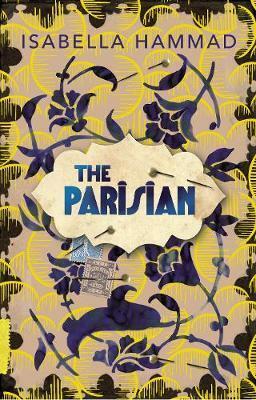 It is 1914, and Midhat Kamal has travelled from Palestine to France to study medicine at the University of Montpellier. He is billeted with the Molineu family (Frédéric, father and academic; and Jeannette, daughter and erstwhile student of philosophy), from whom he learns about a French way of life, and all that comes with it. Midhat discovers love, befriends another medical student who is eventually conscripted to serve in the war, and experiences the pain of racial discrimination. He relocates to Paris where he is united with a group of compatriots, and finds himself ‘alongside other foreigners, young women, and elderly men’. French men of his own age have been lifted from the streets and sent to fight for their country. At the conclusion of the war, Midhat seeks return passage to Palestine. Once home, he must close the door on his Parisian life, and follow his father’s footsteps in the family business. He settles into life in Nablus, and faces challenges both familial and national. Although it took me some time to fully immerse myself in Isabella Hammad’s epic debut novel, by the final page I was so invested in the story that I grieved the loss of finishing. Not only did I enjoy the book itself, I enjoyed learning about the mid-twentieth-century history of Palestine and the Middle East – a part of history about which I had relatively little knowledge prior to reading The Parisian. Hammad is an excellent writer, and her character portrayals are complex and beautiful. Midhat Kamal is a wonderful and intricately drawn man – he is smart, flawed, progressive, conservative, frustrating and sympathetic. He is human. And the tale that Hammad tells is both human and worldly: she incorporates tremendous historical events alongside personal dramas without inflating the former or minimising the latter. A stunning debut.